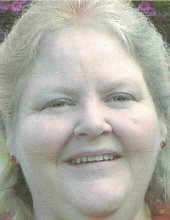 Debra (nee Huckelby) age 61, passed away Sunday, March 24, 2019, beloved wife of Timothy Welsh, loving sister of Robin Kreiner and Donald Huckelby, devoted stepsister of Eddie Godsey, Brenda Christie, Lesa Kingsbury, Teresa Brashear and the late Michael Godsey. Memorial Services will be held at the Maham Funeral Home, 187 North Second Street, Williamsburg, Ohio on Thursday, March 28, 2019 at 2pm. To send flowers or a remembrance gift to the family of Debra Ann Welsh, please visit our Tribute Store. There will not be a burial. "Email Address" would like to share the life celebration of Debra Ann Welsh. Click on the "link" to go to share a favorite memory or leave a condolence message for the family.